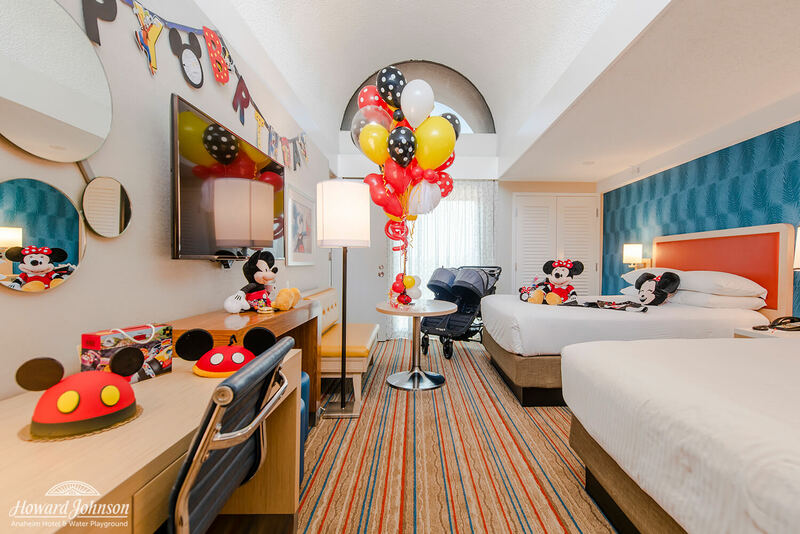 At HoJo Anaheim, our guests come from all over the world looking to celebrate their special moments in the most amazing way — of course, that almost always means a visit to Disneyland just across the street! 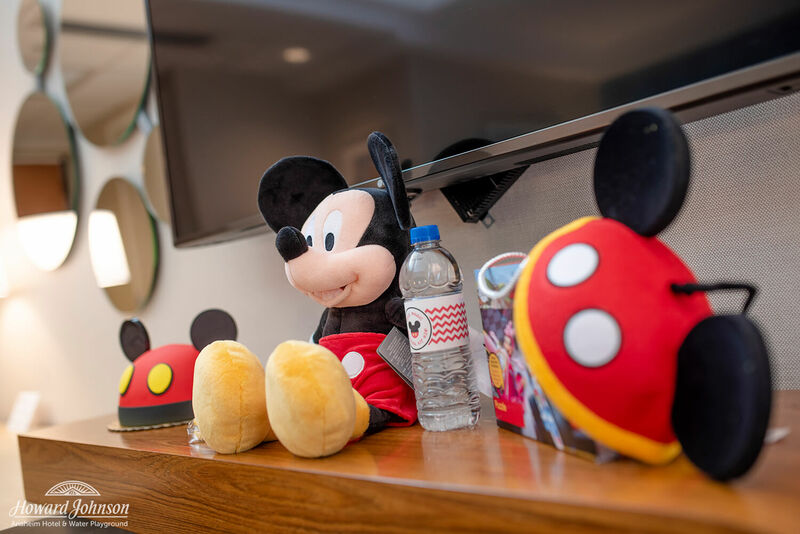 But sometimes you need that extra sprinkling of pixie dust to keep your family’s celebrations going even in your hotel room — that’s something we understand here at HoJo and we’ve got you covered! Here at HoJo, we know that every detail of your celebratory vacation is important. That’s why we’ve teamed up with our friends over at Pixie Magic to create spectacular in-room celebrations, each of which are tailor-made to match any occasion and fit any budget. 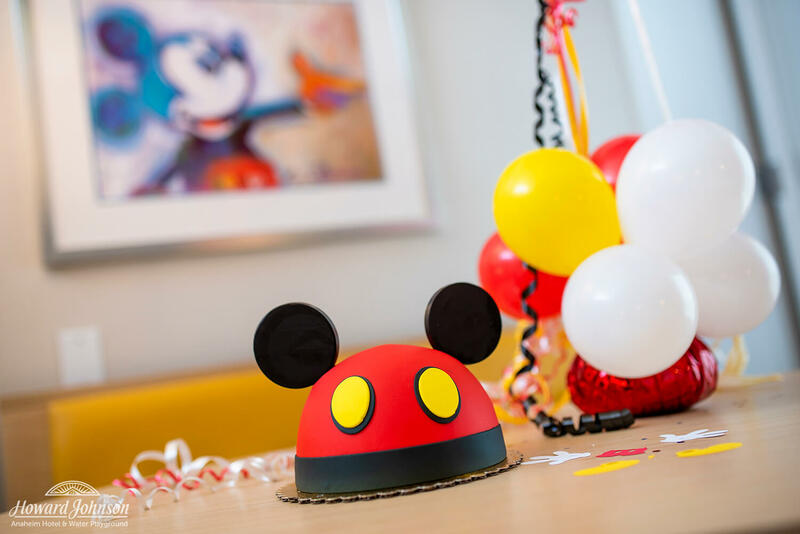 I recently met up with the folks at Pixie Magic at the top of our newly-remodeled room tower to see how they’re able to transform our bright and fun new retro rooms into an amazing birthday celebration for your family’s biggest mouse fan! 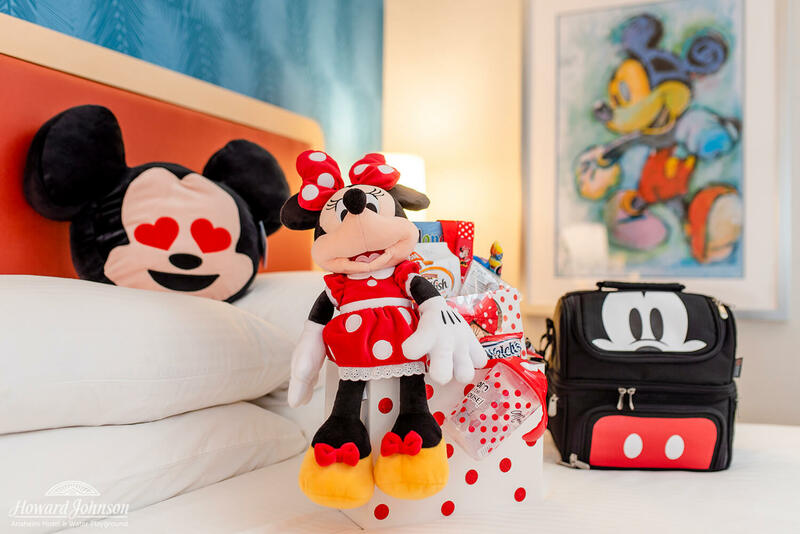 This spectacular Mickey and Minnie-themed celebration is one of Pixie Magic’s biggest in-room party packages, featuring a custom Mickey Mouse cake, a themed balloon bouquet, party decorations, large Mickey and Minnie plush, Mickey and Minnie emoji pillows, a Minnie Mouse-themed gift basket, and more. 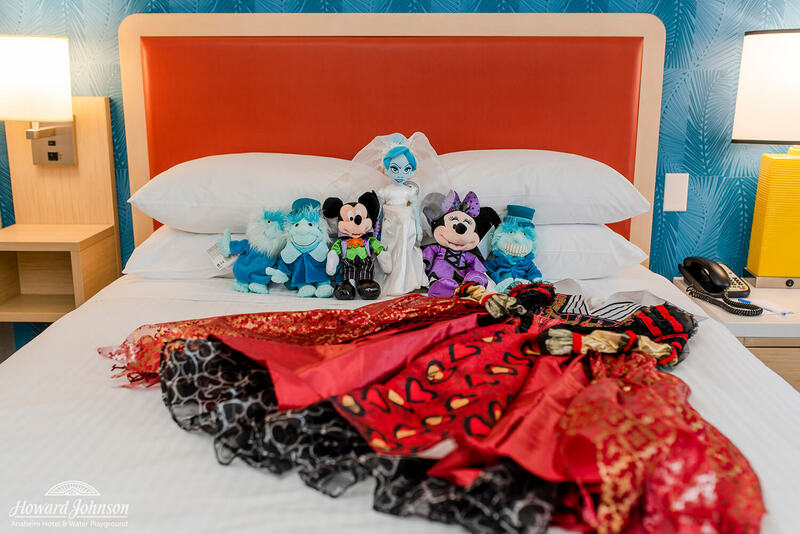 Of course, we know a Disney vacation isn’t cheap but we think Pixie Magic will impress you with how affordable their great in-room celebrations can be. 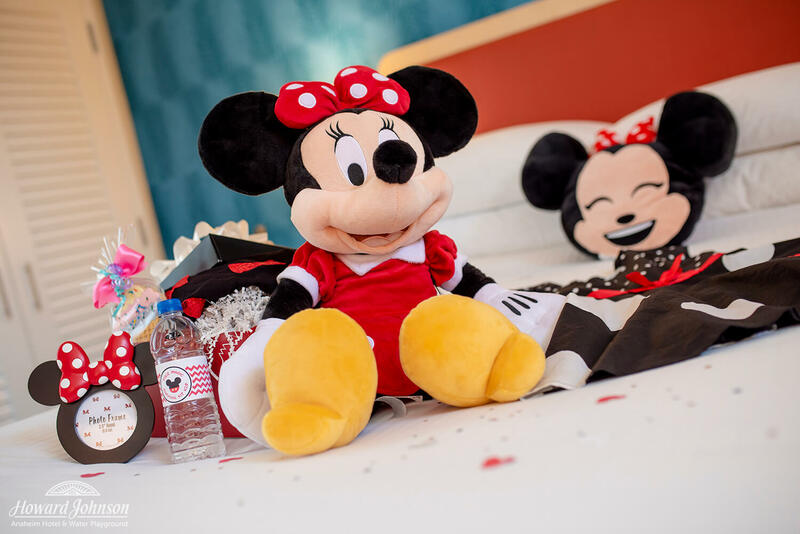 This elaborate mouse-themed celebration, as seen in the photos in this post, is priced at $300 but as with every Pixie Magic package, you can scale it up or down to fit any budget. 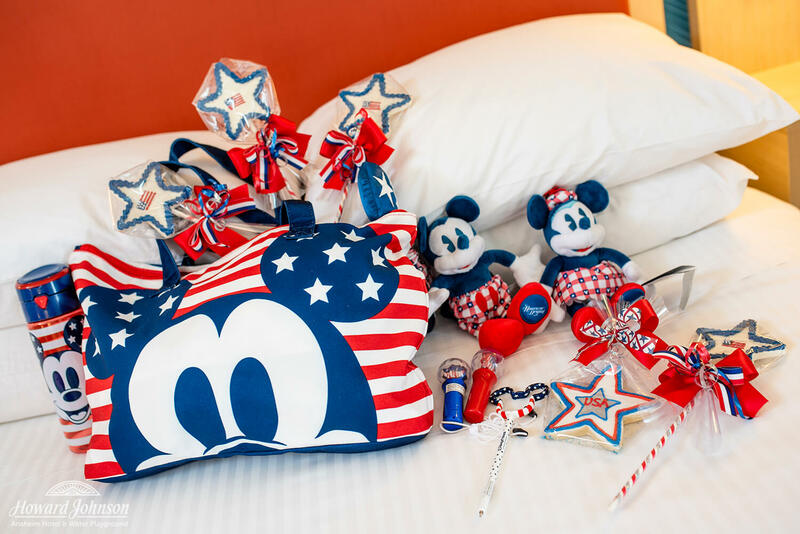 Quality is a big deal for Pixie Magic, so most gift baskets and in-room celebrations feature a minimum of 85% of authentic Disney Parks merchandise, all of which is brand new and yours to take home with you! If you’re flying home with limited luggage space and need a smaller celebration that’s easier to pack up and take home, you can always order a celebration that’s right for your needs. For example, if you just want a themed balloon bouquet ($124) and Mickey cake (starting at $65), Pixie Magic can make that happen! Want to add in a gift basket (starting at $50)? No problem! Your celebration can be as big as you want it to be, just ask! If you’re worried about allergies at all, have no fear! Pixie Magic is happy to work with your special needs and allergy requests to make sure your celebration’s gift baskets, merchandise, cakes, cookies, and other treats are all exactly right for you and your family. Got some royalty in your family? 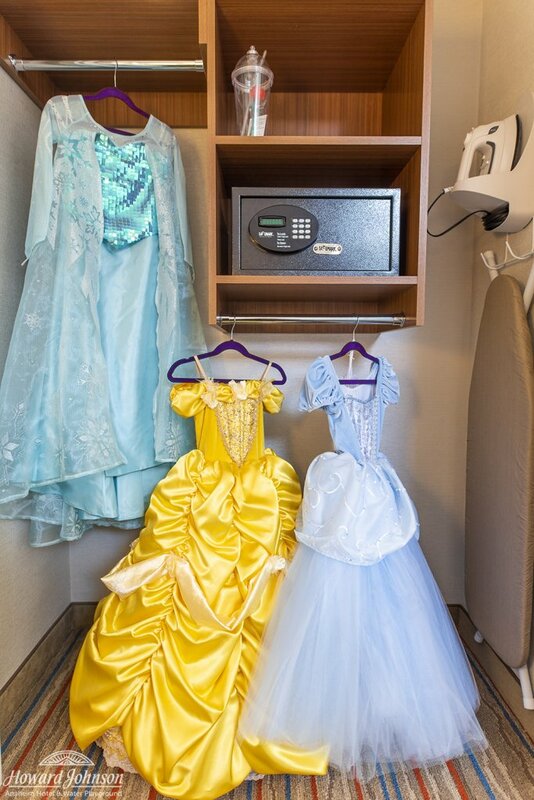 Pixie Magic offers three-day gown rentals ($60) for your princess — dry cleaned and waiting in your room upon your arrival! 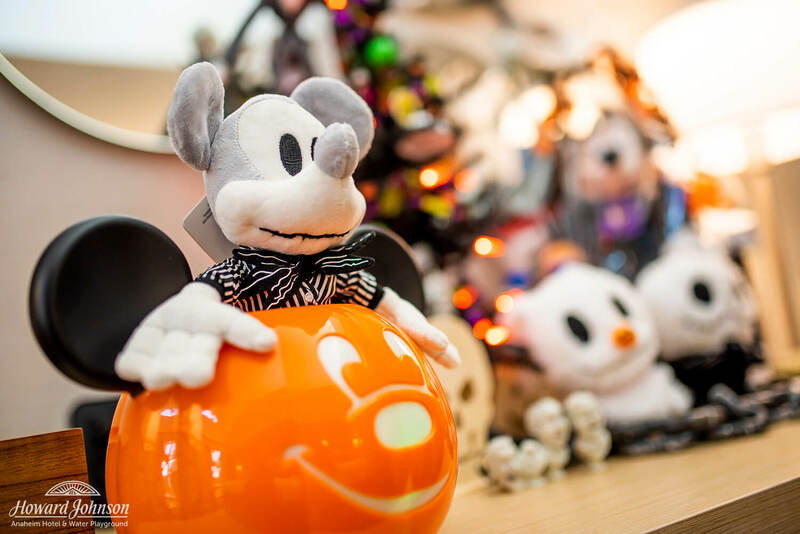 Planning a special Disney holiday visit? In-room celebrations can be done for every holiday! 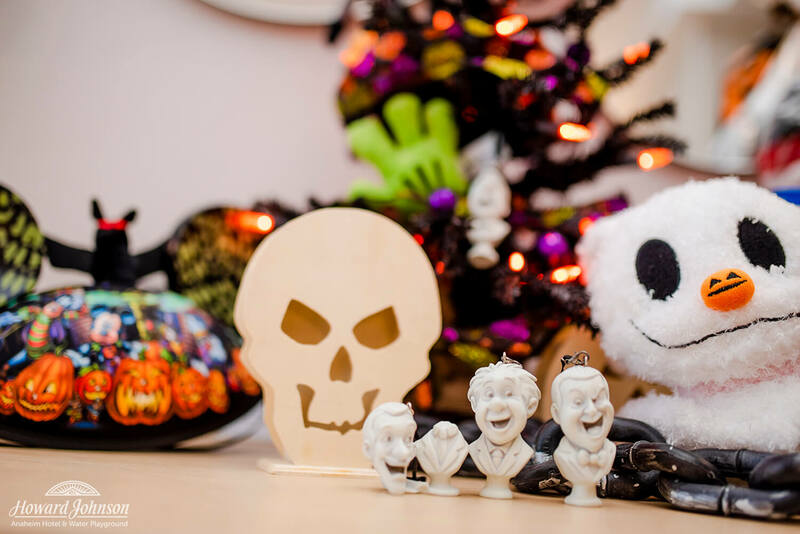 With Halloween Time quickly approaching, now’s the perfect time to book your special Halloween-themed celebration! 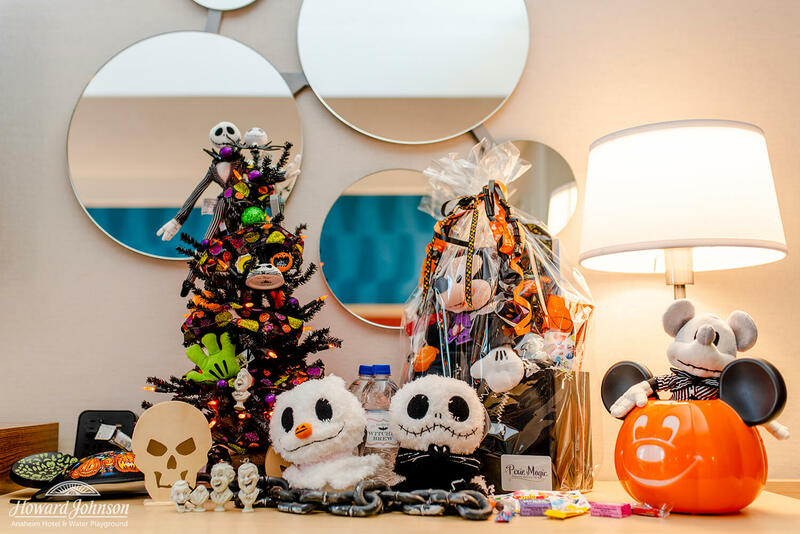 Snag a special Halloween tree for your spooky in-room soiree ($125 to buy or $25 to rent) or grab a Mickey-themed Halloween gift basket ($65) to take home. Our rooms might be bright and fun but with the right touch of magic you can have them suit your spooky needs! Just looking to celebrate the summer or want to honor a veteran in your Disney family? No problem! Pixie Magic can help create the perfect celebration package for any occasion! Of course, the holidays are coming up and Pixie Magic can create an in-room holiday celebration for you that your family will remember forever! Keep an eye out for a post in the coming months detailing some of Pixie Magic’s upcoming holiday offerings! If you’d like to find out more about Pixie Magic’s in-room celebration offerings and packages or to receive a quote, visit their web site at pixie-magic.com! In-room celebrations aren’t the only way we’re looking to make your vacation as seamless and enjoyable as possible. 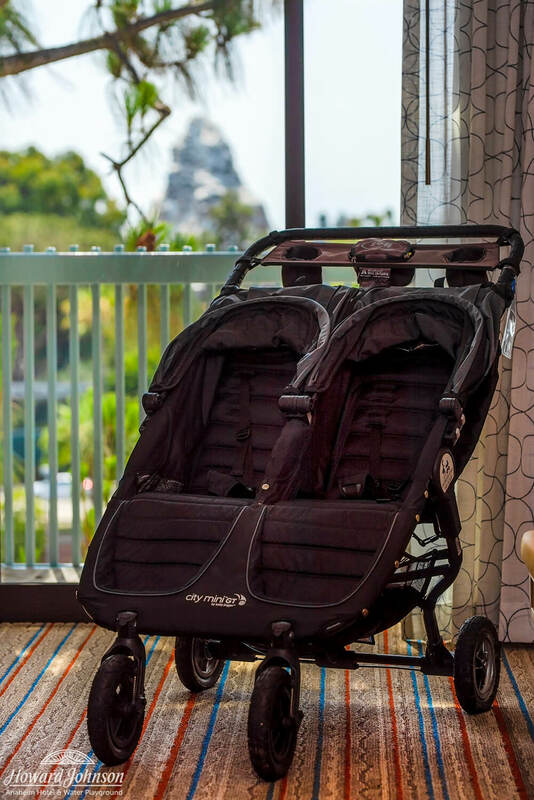 We’ve also teamed up with local stroller, wheelchair, and car rental companies to make sure you can get everywhere you need to go without any hassle! Our friends at City Stroller Rentals and D&R Mobility Rentals can get you exactly what you need at reasonable rates. Don’t want to stress about booking? No problem! All you need to do is call our front desk at (714) 776-6120, let our staff know what you need and for how long, and we’ll make sure it’s ready for you when you arrive. It’s really that easy! 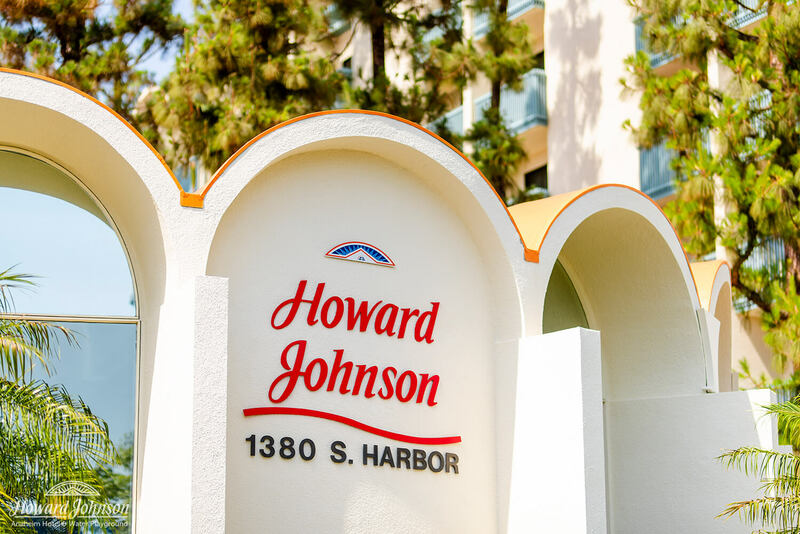 At HoJo, we want your vacation to be as magical as you dreamed it to be, which is why we’ve partnered with local companies to help assist you in getting everything you need to make sure all of your dreams are realized! Whether we can help you book a car rental to get you everywhere you need to be, or have your room ready at check-in for the celebration of a lifetime; all of us at HoJo Anaheim are happy and ready to help! If you’d like more information on any of the partner companies we’ve mentioned in this post, would like us to help you book any of their services, or would like to find out about any other services we can assist you with, contact our front desk at (714) 776-6120! If you’d like to get a quote on your special in-room celebration with Pixie Magic, visit them at Pixie-Magic.com!